10.11.08 Playing the Slav Defense, Viswanathan Anand came up with an innovation that had Kramnik well behind on the clock. 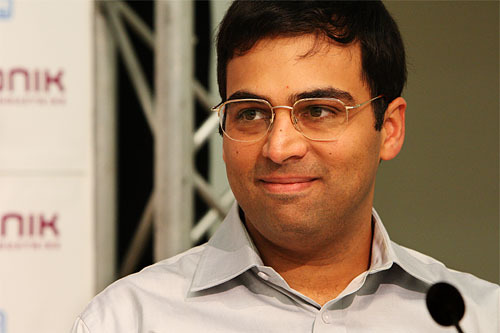 Anand made his first 18 moves in 20 minutes, it took Kramnik an hour and 20 minutes to do the same. Home preparation paid off and Kramnik resigned before making his 42nd move. 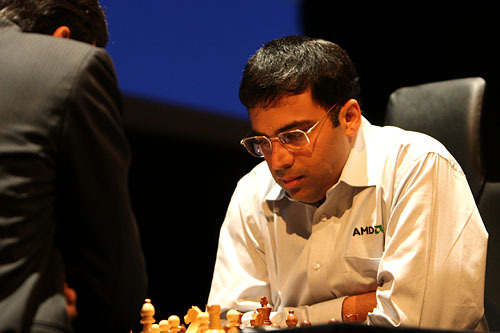 Anand leads the match 2-1. The victor speaks with the press after his convincing win with the black pieces in round 3. Anand working his magic with the black pieces. 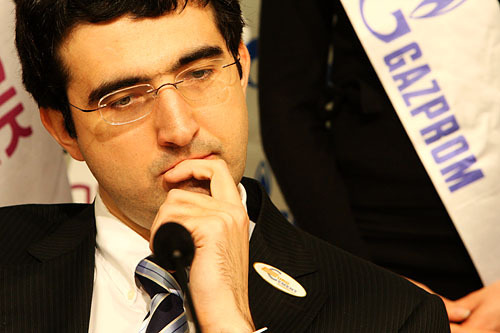 A pensive Kramnik during the post-game press conference.